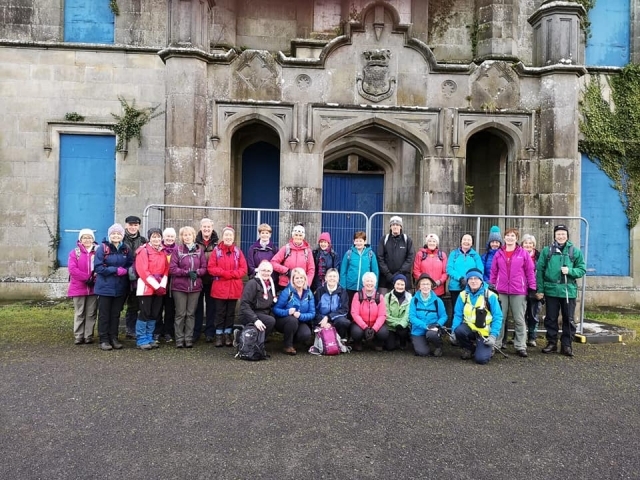 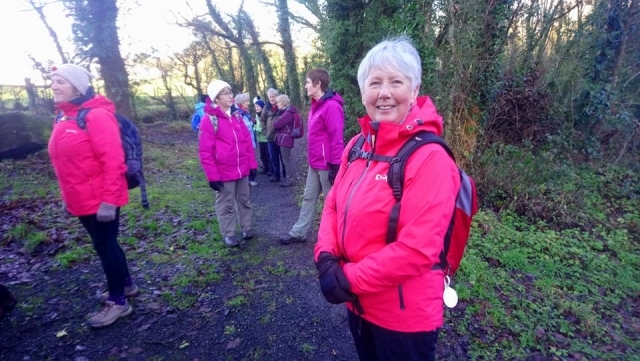 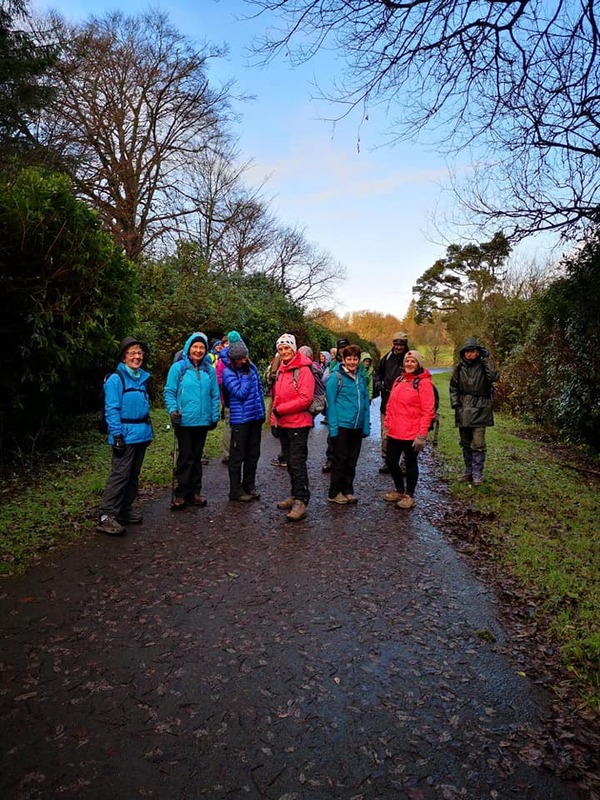 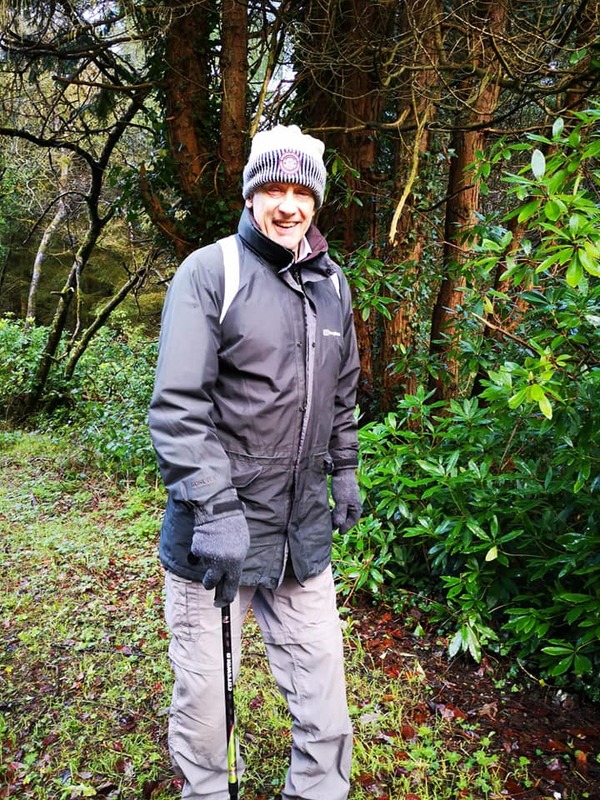 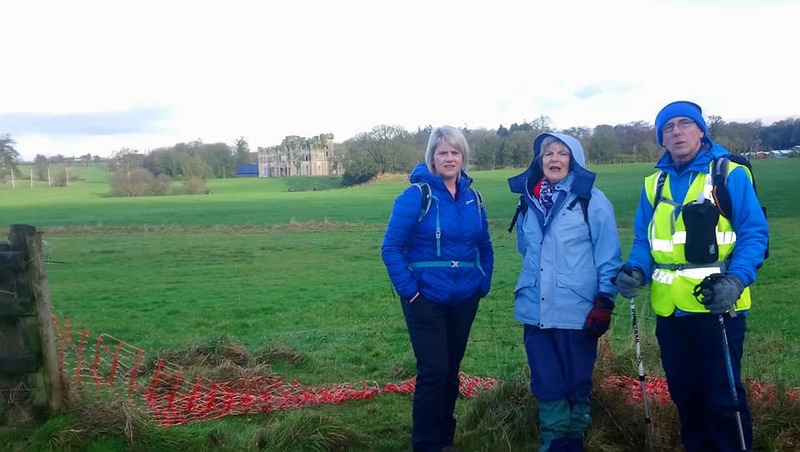 On Saturday 22 December 2018, 27 West Tyrone Ramblers had a winter walk in Necarne Forest, near Irvinestown. 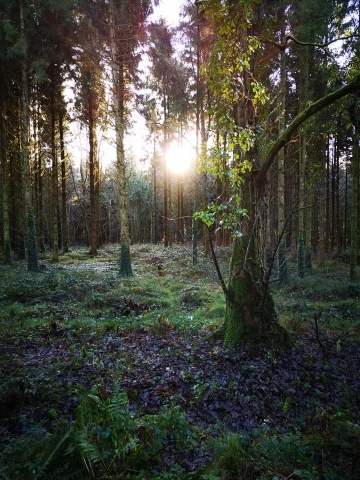 The winter solstice sun, low in the clear sky, shone brightly through the trees as the group started the walk at the site of Necarne Castle. 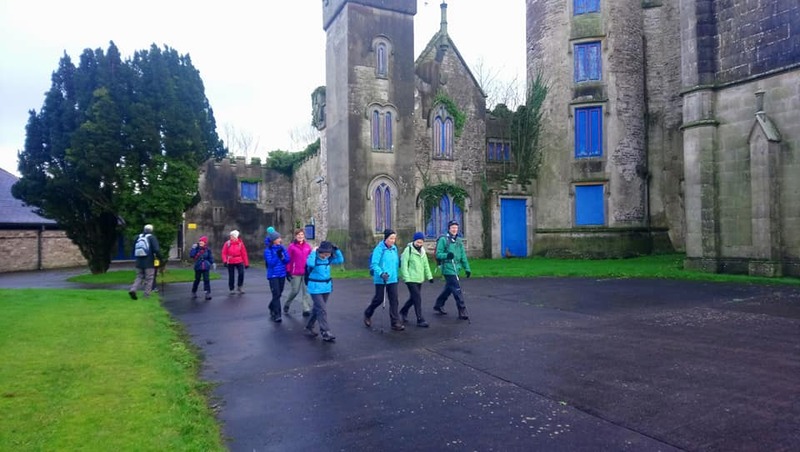 A building has existed on the castle site from around the 1600s and the current building housed a 500 bed hospital for the USA army during WW2. The Ramblers proceeded through the parklands before moving into the forest, ending the walk with a picnic beside the perfectly preserved walled garden. 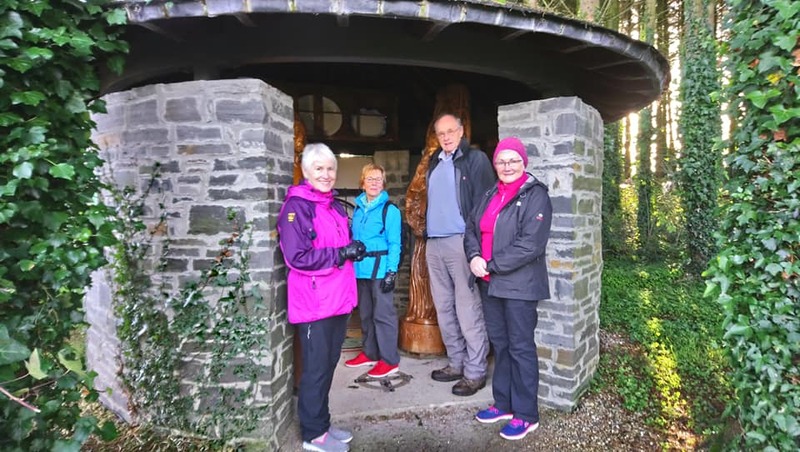 The Ramblers then travelled to the Garden of the Celtic Saints on the Lisnarick Road and marveled at the large but intricate carvings on display. 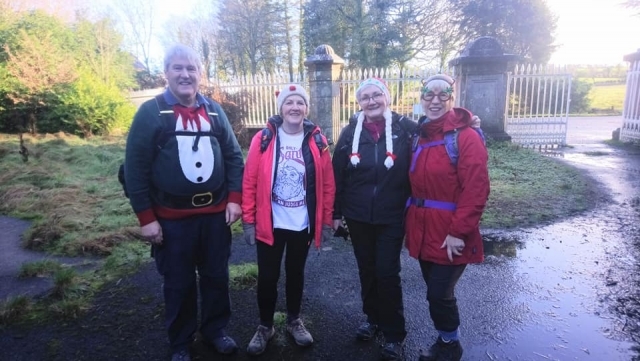 The pleasant walk concluded with Christmas fare in Mahons hotel where the party wished each other a very happy Christmas.